Honestly, we weren’t expecting to see any smartphones being released in CES 2013 as most of the emphasis were being given on display units such as the LED TVs, OLED TV’s, touch screen monitors, rotatable monitors etc. The companies, be it Samsung, LG, Panasonic, Sharp and Sony, had extraordinary products to display in the press conferences which managed to mesmerise everyone present there. Fortunately, there were smartphone announcements later on but the one which managed to capture everyone’s attention was Huawei’s Ascend Mate and D2 smartphones. 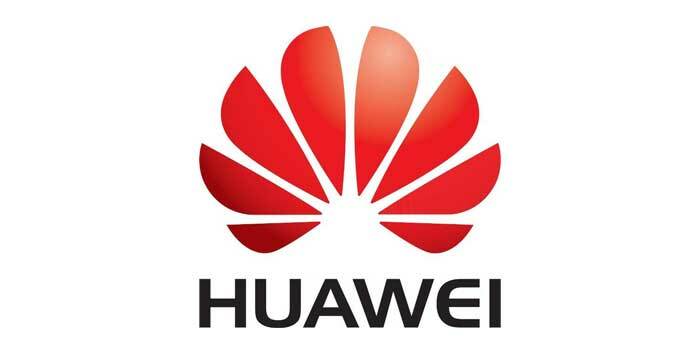 Firstly, whenever you hear the name, Huawei, you know it deals with networking services. Normally, we do not hear much about Huawei releasing smartphones, let alone, high end ones. Although at the last year’s CES, they released the Ascend P1 S which was expected to be a great competitor with other smartphones released at that time. But what is the use of a smartphone if it’s not released in the US? This was the problem that Huawei faced and this time, they are making sure they manage to capture a large market. Ascend Mate with it’s 6.1 inch screen, yes, 6.1 HD screen is by far the largest smartphone in the world. This is somewhat a hybrid of a tablet and a phone, normally known as ‘phablet’ . The 6.1 HD IPS display has a resolution of 1280 x 720 and protected by Corning Gorilla Glass so you have nothing to fear if the phone drops face down. 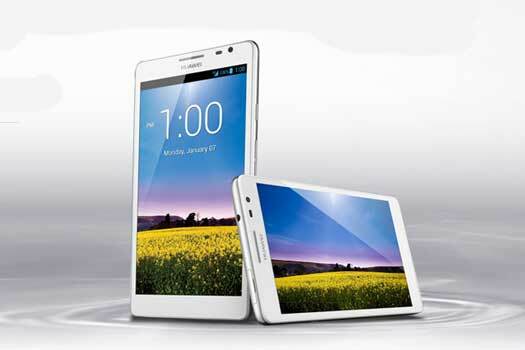 This phone totally outranks Samsung Galaxy Note II in terms of screen size where the Note II has a 5.5 inch screen. So those of you who own a Note II, sorry folks, there is another big daddy in town! Powered by 1.5 ghz Quad Core processor with a 2GB RAM and Android 4.1 Jellybean as it OS, this mobile will surely give you a smooth performance. The smartphone has a 8.0 megapixel rear facing camera with Autofocus and HDR and a 1.0 megapixel HD front facing camera. To make this phone fit in the definition of a smartphone in todays world, Huawei did keep in mind the trends that are occuring in its surroundings. ‘Magic Touch’ is one of them. This feature has been added for the would-be users who live cold countries where wearing gloves is a must. To make things easier, Huawei made sure that their screen is highly sensitive which would be able to recognize even the tiniest pressure given on the screen. 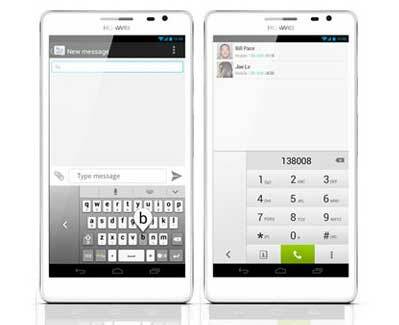 Also, like other smartphones, it also has a one hand user interface where the keyboards and the dialpad are minimized and placed at the side making it easier to operate it with one hand. This however might be difficult for those whose hands are average in size. You might be thinking that this device will be popular only because of its gargantuan display screen but wait. There’s another reason to add to own this device. Battery is one of the most important factors to look for when buying a smartphone and most people tend to overlook it. 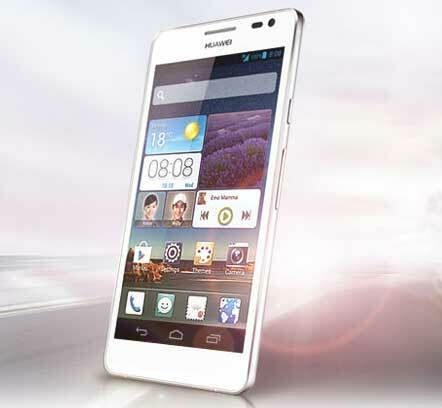 Huawei’s Ascend Mate has a massive 4050 mAh battery enough to keep it going for two days with just a single charge. According to Huawei, the device has the power to browse the web for 14 hours, 10 hours of watching videos and 22 hours of talk time. Comparing with other devices, the iPhone 5 has a 1440 mAH, Galaxy SIII 2110 mAH and Galaxy Note 3100 mAH. 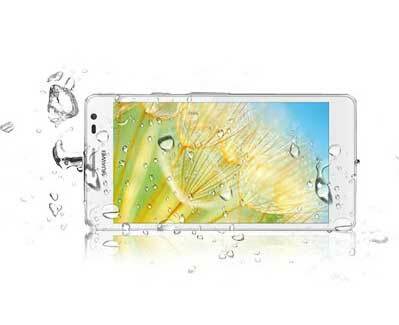 The D2 can be regarded as the mini version of the Ascend Mate when placed together. Though the screen size is 5-inches, it isn’t so mini when compared with other phones. Ascend D2 also runs, just like Mate, in 1.5ghz quad core processor, has 2 GB of RAM and runs in Android 4.1 Jellybean. So what sets it apart from the Ascend Mate? The D2 has a better rear facing camera with 13 megapixels, auto focus with HDR imaging technology. Most importantly, the 5-inch retina display screen has a pixel density of 443 ppi with resolutions up to 1980 x 1080 featuring full-on 1080p display. Comparing with other devices, the iPhone 5 has only 326 ppi and the Galaxy SIII with 306 ppi. The D2 with an aluminium body is surrounded by a strong metal frame and is also said to be dust and water resistant. In the press conference, the speaker literally put the D2 in the water for a minute and showed no damage. Although the Ascend Mate is powered by 4050 mAH battery, this smartphone has about 3000 mAH battery which is still a lot compared to others. By releasing these high-end smartphones or phablets, Huawei surely did send a strong message to those who regarded them as a low-end competitor. If Huawei manages to find a carrier in the US, competition will become tougher in the coming days. But if, as mentioned earlier, Huawei fails to find a carrier just like they did in the last CES, we fear they would be loosing all the hype that they have earned in CES 2013. Prices have not been revealed yet but be sure the information regarding this will be coming soon.